We do a lot of canning here, especially with tomatoes. We harvest several hundred pounds every year with most of it being preserved. This year I’ve been getting a lot of questions about canning and tomatoes seem to the most popular. Tomatoes are the gray area of canning. They’re not quite acidic enough to just straight can like fruit but the right amount of added acid can keep you from having to pressure can them. Here are the basics on canning them (and much of this can actually be used for water bath canning other things like fruit and pickles. This will mostly be for making sauces, paste and juice. Crushed, diced and whole tomatoes can be done in a similar manner but you need to skin and core them first and the process is slightly different. The amount of acid is the same though. Even with pressure canning tomatoes you will need to add acid. If you’re adding other vegetables to your recipe you will need to pressure can because you’ve dropped the acidity too far. But don’t be mistaken, if you skip the acid or add other low acid ingredients tomatoes can effing kill you. Botulism is no joke. Start with your water bath canner and canning rack at the bottom. 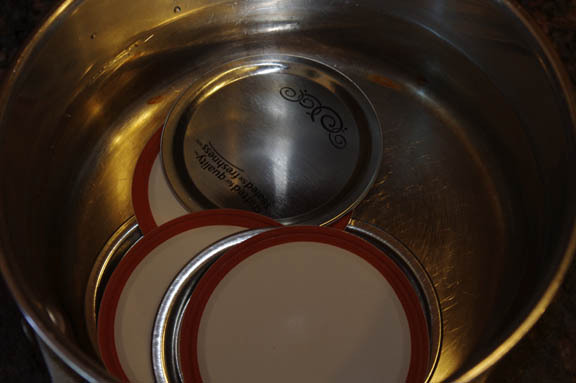 If you don’t have a canner and rack use a large pot and put a towel on the bottom or use lid rings on the bottom. The rack/towel/rings serve to protect the jars from breaking. Put jars in your canner and fill with water. I usually will fill until the water is just above the rims to ensure that the water is at least an inch above the top of the jars when they are filled. Heat up on the stove. 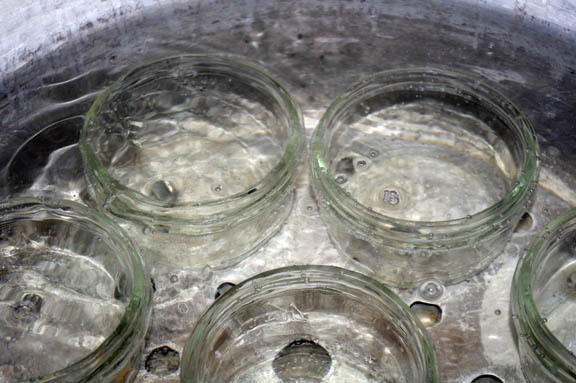 In the meantime take the lids (without the rims) and put them in a pan with some more water and heat them up as well. Do not boil, just get them to a simmer. If you don’t have a lid magnet or rack put them in the water alternating direction (bottom up then bottom down) to make them easier to get out. 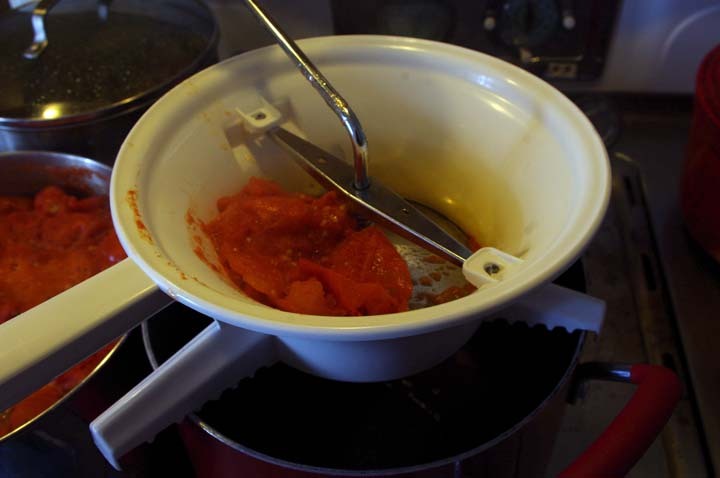 You can skin and seed the tomatoes before hand but if you have a sieve or food mill don’t bother with the extra step. Cut up the tomatoes and put in a large pot and heat them up. Bring to a boil and then simmer down until the fruit breaks down. Run through your food mill with the finest mesh. This will remove the seeds and skins while breaking down the flesh. If you’ve already skinned and seeded them you’ll need to run the fruit through a sieve or food mill to make smooth. Return juice and flesh to the stove and bring to a boil then reduce to a simmer. Cook down as far as you need it depending on what you’re producing. This is also when you want to add any herbs or spices. Once it’s boiled down it’s time to can it. Make sure that the water bath canner is boiling. You will be working with one jar at a time to make sure they stay hot while filling them. 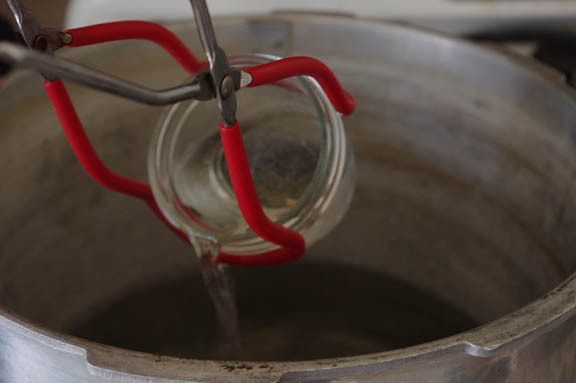 You don’t want to add a hot liquid to a cool jar because you risk breaking the glass. In addition put a towel down to put the hot jars on so they don’t break when touching a cold surface. Pull out a jar and empty the water out. Turn off canner, remove lid and let sit for 5 minutes and then remove jars. Place on a towel to allow to cool. The lids should start to pop immediately which means they are sealing. Any that don’t seal put in the fridge and use them soon. Once the lids seal remove the rings. This will help prevent rusting and also if a seal breaks it won’t keep the jar artificially sealed, hiding a spoiled product. 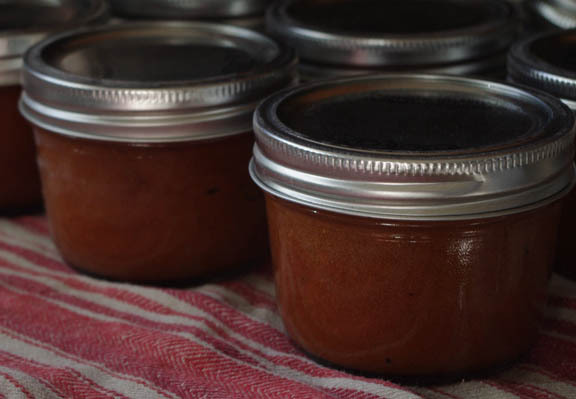 As long as proper procedures are followed home canning tomatoes can be done safely. Always err on the side of caution and you won’t have anything to worry about. *Times will be different at higher elevations. Love having the times all in one place. Thank you! Canning tomatoes kind of scares me, but I want to try it this summer. Does it matter if the lemon juice goes in the jar first or last? 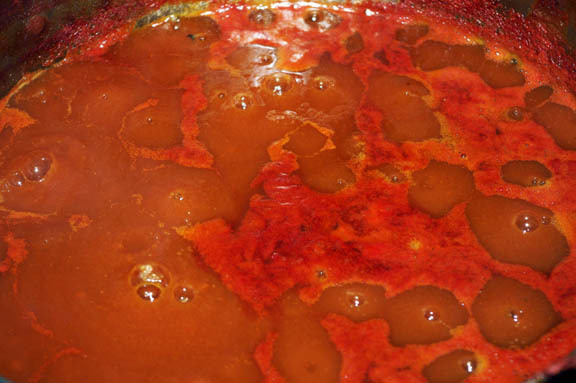 Do you have to mix it up with the tomato sauce/paste/juice before putting the lid on? 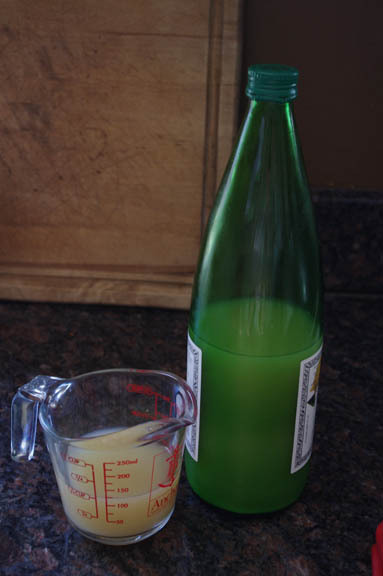 Put the lemon juice in first so that it does get mixed in while you pour in the tomato product. Other than that you don’t need to mix it any more than that. You are awsome! I have 30 tomatoes plants, roma and beefstake with the romas comin on fast. Cannot find yardsale, second hand equipment and need to budget carefully. This is my first time so wish me luck! Thanks for this. I did my first 4 pints the other night and have another 6 pounds of Roma tomatoes cooking down tonight. Last night I didn’t cook them long enough and they were a bit runny. Cooking down a bit longer tonight and adding some basil and garlic. 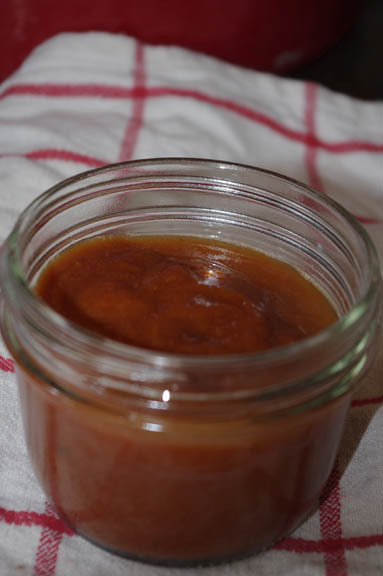 Last year I just froze all the sauce I made, which worked great…but I like the idea of canning better so I’m not hosed if the power goes out for an extended period. Speaking of canning spaghetti sauce, I’m growing spachetti squash for the first time. How do I know when it is ready to pick? Also, can other parts of the squash . . . not just the “spaghetti” inside be eaten as well? Oh, and one last question, are the seeds edible? Hi Max, of course everything but the tough outer skin of spaghetti squash is edible including the seeds which you can treat as you would pumpkin seeds. I come from a family who didn’t can or preserve anything. I’m totally on my own with this and I just want to say thank you for all the information you’ve posted which really helps us out! I do have one question. On one of my quart jars, I forgot to put in the citric acid so I added it last is it still ok? Hi Victoria, no one did any canning when I was growing up either so a lot of what I do is self taught. Just keep at it and you’ll soon learn all the canning basics and can start to safely tweak recipes. Adding the citric acid last probably isn’t going to be a huge deal. I’ve added lemon juice last before and didn’t have any issue. 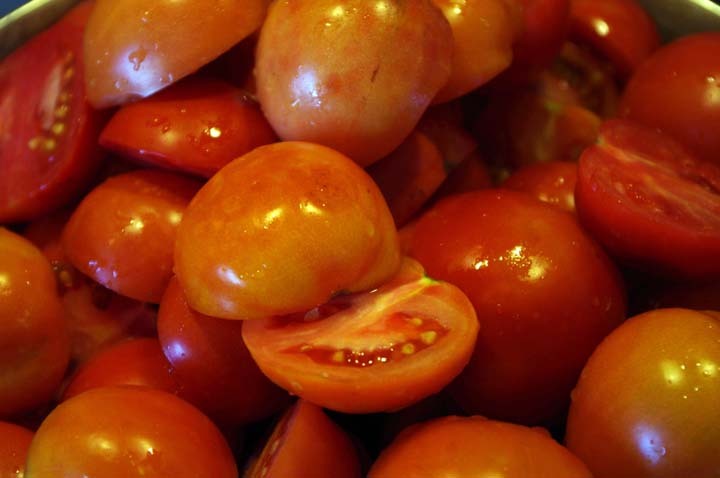 As for pressure canning, yes, you can pressure can tomatoes but you need to still add acid (in the same amounts). I personally don’t pressure can tomatoes since it’s just easier to water bath can them. Another Question…. Can you pressure can tomatoes and if you can how do you do it? Now I’m a bit scared. When I canned last year I canned with friends. So when I made a quick batch last month I think i messed up. I didn’t put any lemon juice in and I didn’t hot water bath. Should I toss these immediately? Or can they be used if used now? The jars sealed fine. Miss read all directions first next time. Thank you, I’d rather be safe then sorry. That batch was a while $3. Totally worth throwing away. There was even mold on one jar so something want right. Have a great day! I’m not sure I can say it is safe because I’ve found zero information on canning paste in jars larger than half pint. This could be because either it’s uncommon for people to can paste in jars larger than this or it could be that it’s unsafe due to the thickness of the paste not allowing the heat to reach the center during the canning process.